Latest Appium Interview Questions with Answers . Latest Appium Interview Questions and Answers. Most Frequently Asked Appium Interview Questions And Answers. 1) Explain what is Appium? 2) List out the Appium abilities? 3) List out the pre-requisite to use APPIUM? 4) List out the limitations of using Appium? 5) Explain how to find DOM element or xPath in a mobile application? 6) Explain the design concept of Appium? 7) What language does Appium support? 8) Explain the pros and cons of Appium? 9) Explain what is APPIUM INSPECTOR? 10) Mention what are the basic requirement for writing Appium tests? 11) Mention what are the possible errors one might encounter using Appium? 12) Do you need a server machine to run tests on Appium? 14) Mention what are the most difficult scenarios to test with Appium? 15) While using Appium can I run my tests in a multithreaded environment? 16) In Android, do you need an app’s .apk to automate using Appium or you also need app in my workspace? 17) Explain what is Appium package master? How to create package? 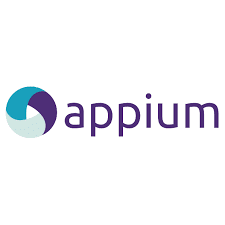 18) Explain how test frameworks are supported by Appium? 0 on: "Latest Appium Interview Questions with Answers "